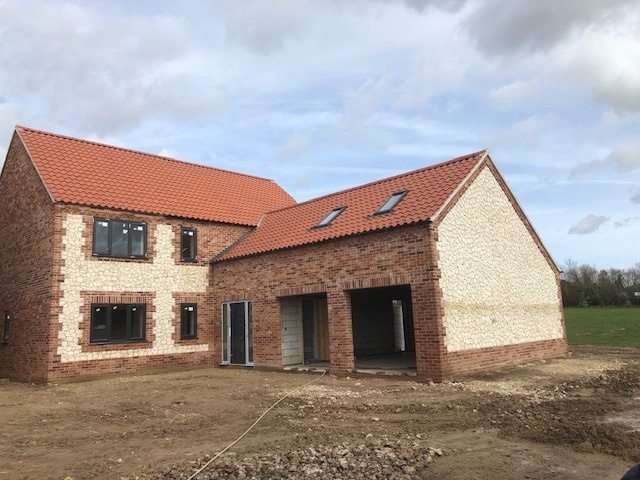 Currently under construction a beautiful and substantial four bedroom detached house situated in a popular village location. Currently under construction are two beautiful and substantial detached houses situated in a popular village close to amenities. The property are set back from the road in the centre of the village. 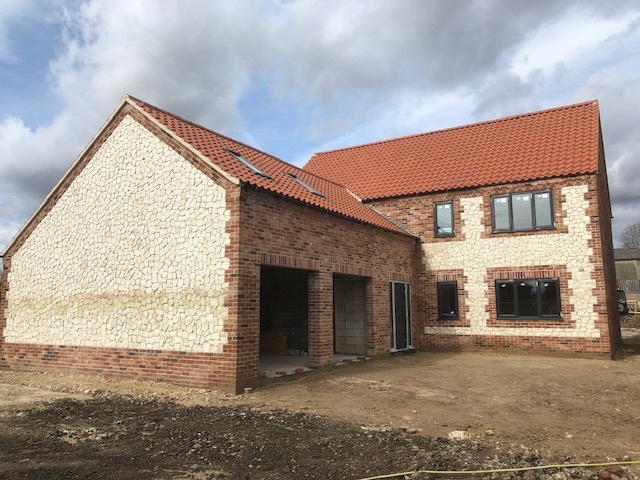 In keeping with the local area the developers have used a mixture of chalk and brickwork for the front elevations under a pantile roof. The properties have been designed and built with modern living in mind with accommodation comprising a lobby, entrance hall, open plan kitchen, breakfast and dining room opening out to a garden room, study, snug, cloakroom and utility on the ground floor together with a landing, master bedroom with dressing room and adjoining bathroom, three further bedrooms and a family bathroom on the first floor. There is grey UPVC double glazing and an Air Source Heat Pump providing the central heating. There is a shingle driveway providing ample off road parking leading to a double garage. The popular village of Gayton has many local amenities including a filling station with mini mart and post office, village hall and a popular pub serving food. King's Lynn, approximately 7 miles away, offers a wide range of shops, leisure and educational facilities, restaurants and the Queen Elizabeth II Hospital. The Sandringham Estate is approximately 8 miles away and the North Norfolk Coastline is approximately 16 miles away. There is a mainline rail link from King's Lynn to London King's Cross in approx 1hr 40 mins. •Grey UPVC Double Glazed Windows. 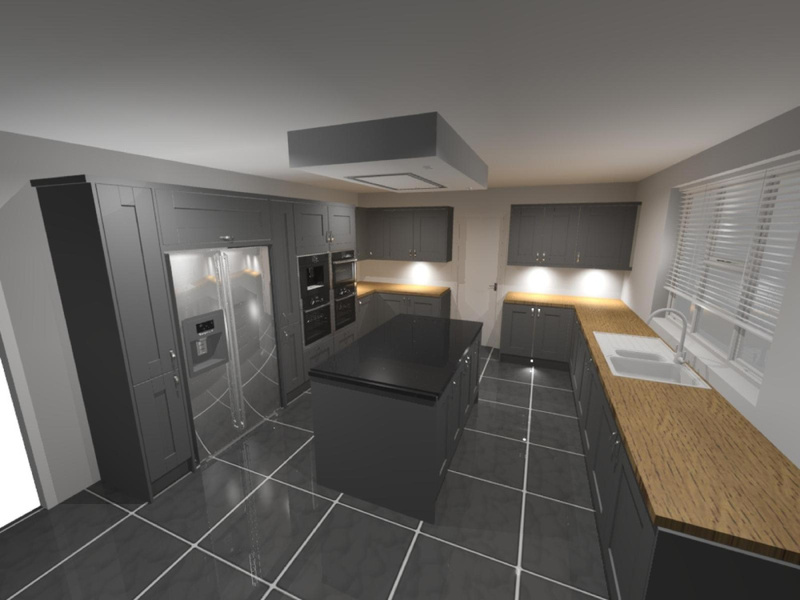 •Grey kitchen with shaker style units fitted with under counter lights and Granite worktops. 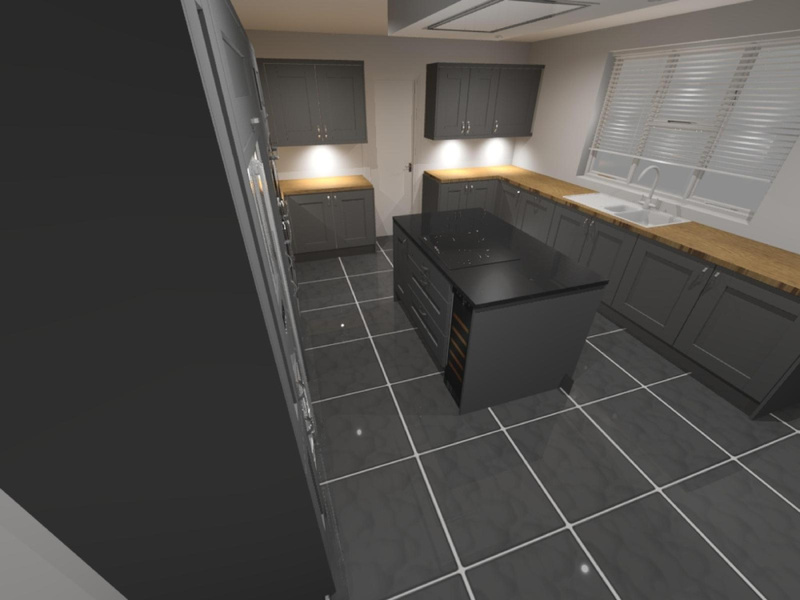 •Central Kitchen Island with hob. •Range of Neff appliances including two eye level ovens, coffee maker, microwave, hob and ceiling hood. Electrolux dishwasher and wine cooler. •Tiled flooring in Kitchen, En-suite & Bathroom. •Air Source heat pump providing underfloor heating on the ground floor and radiators to first floor. LOBBY Door to the side and internal door to the garage. ENTRANCE HALL UPVC double glazed window to front, stairs to first floor. GARDEN ROOM Single storey room with UPVC double glazed windows to both sides, UPVC double glazed doors to rear garden. SNUG UPVC double glazed window to front. STUDY UPVC double glazed window to rear. UTILITY UPVC double glazed window to side, door to side, range of base and wall units with sink and drainer. LANDING Stairs from the ground floor. MASTER BEDROOM SUITE UPVC double glazed double doors open to a Juliette balcony. DRESSING ROOM Four fitted wardrobes. 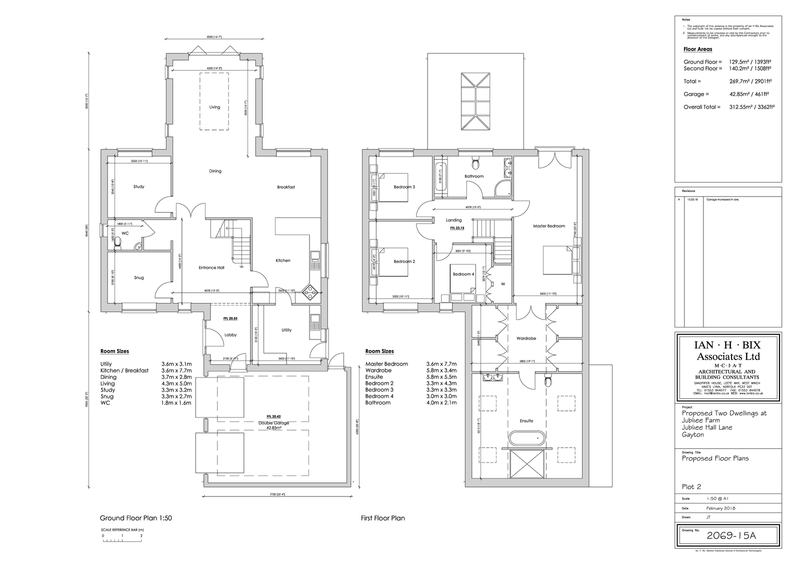 EN-SUITE BATHROOM four roof lights, low level wc, double wash hand basin, central bath, large shower cubicle. BEDROOM 2 UPVC double glazed window to front, radiator. BEDROOM 3 UVC double glazed window to rear, radiator. BEDROOM 4 UPVC double glazed windows to front, built in wardrobes, radiator. BATHROOM UPVC double glazed window to rear, white four piece bathroom suite comprising a panelled bath, corner shower cubicle, wc, double wash hand basin, tiled flooring, wall mounted heated towel rail. OUTSIDE The properties are set back from the road down a single lane track. 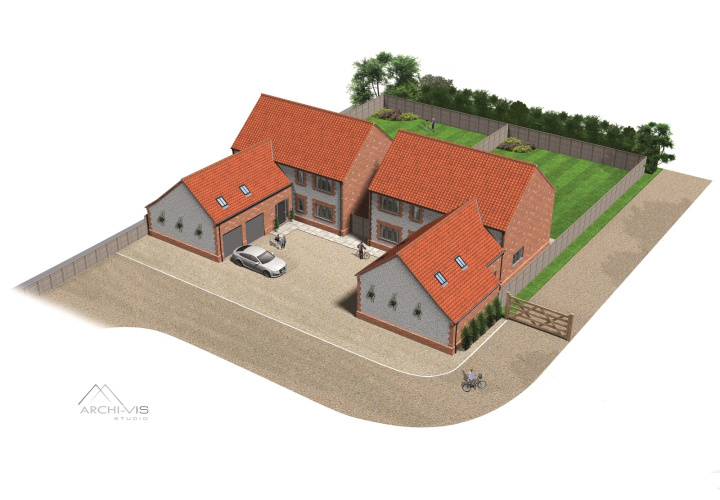 The driveway leads to a gravelled turning and parking area along with the double garage. The rear gardens with either be turfed or seeded depending on the time of year, with a patio area leading from the house. The boundaries to the garden will be enclosed with boarded fencing. These details do not form part of any sale contract. As the properties under construction there is the possibility that the plans and fittings described in these details may alter during the construction process. 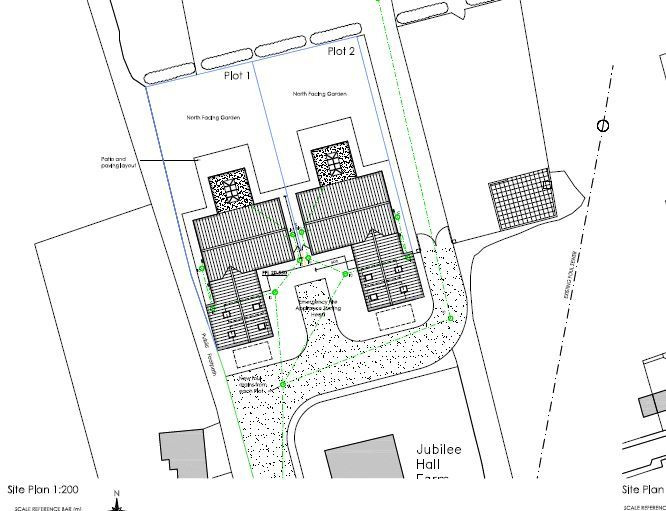 We would advise the buyer to check all measurements and site plans provided.